Over the past few weeks some of us have been brainstorming around creative ways to revitalize our downtown Newton centre. As one person so eloquently put it, ‘the neighbourhood has some scars, but we’re resilient and the will to see positive things happen here has never been greater”. So, it got us thinking about the name Newton. 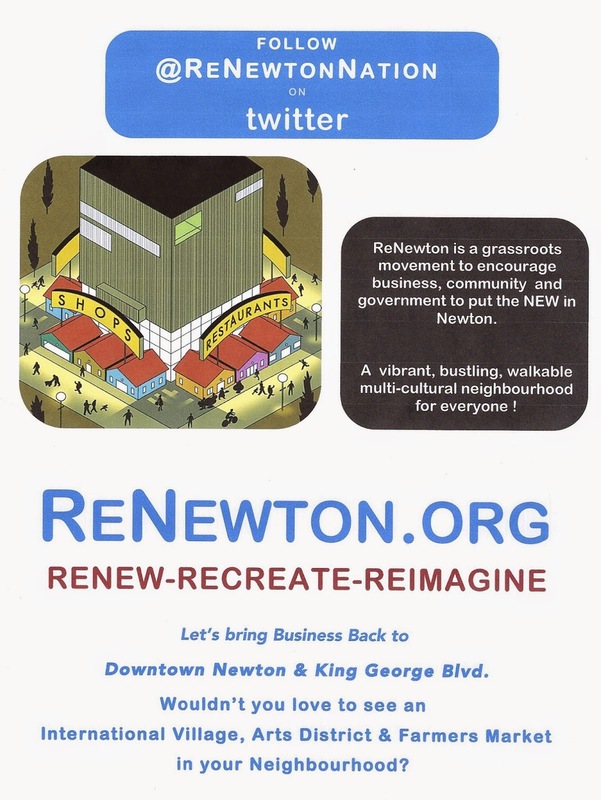 Has the time come to rebrand the Newton Town Centre , (whose boundaries are now set with the newly formed Newton BIA ) in much the same way Downtown Whalley has been renamed City Centre? We think there’s a very strong case to do so. Like Whalley,to some people the name Newton doesn’t conjure feelings of excitement and respect and it’s not doing our business community any favours. Since Newton is the geographic centre i.e. middle of the city of Surreywhy not call it that? 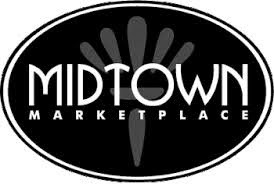 Anyone who has spent time in Manhattan has no doubt wandered the busy Midtown area. It’s vibrant but retains its grittiness, keeping it real and authentic. I’ve maintained that Newton can take that same feel and make its edginess work to advantage. So let’s talk about 137th St, also known as Festival Street in the City of Surrey’s plans for the town centre. 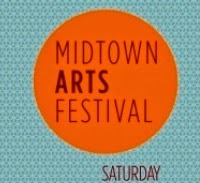 Newton Town Centre Plans for Festival Street (137th St.) during an event. Everyone’s asking….When will the plans be implemented? Business owners and the community all agree- the Pay Parking HAS to go! Festival Street- Plans for Everyday Use, but when will the city get moving and make this happen? There are many office and retail spaces currently for lease in the vicinity. Let’s fill them with creativity and connection. How awesome would it be to create a unique to Surrey funky art, music & cafe scene here? You know what I’m talking about. Old or at least old-looking brick walls, great coffee, and a place to meet up with friends. 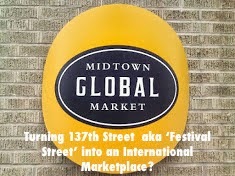 What about a global crafts marketplace in these vacant spaces? Think: studios, coffee houses, music venues. Somewhere our young Surrey musicians and creative types can get together and showcase their talents? So, think about the many possibilities for the Newton Town Centre. We have so much untapped potential in this area. Let’s take the vision and make it happen. We have many strengths and a growing number of citizens taking charge of their own community. Leave your comments or if you prefer, send me a message. Previous Post:From Crisis to Opportunity…..
Next Post:Newton. Why We Stay.